User experience professional Theresa Neil (Designing Web Interfaces) walks you through design patterns in 10 separate categories, including anti-patterns. 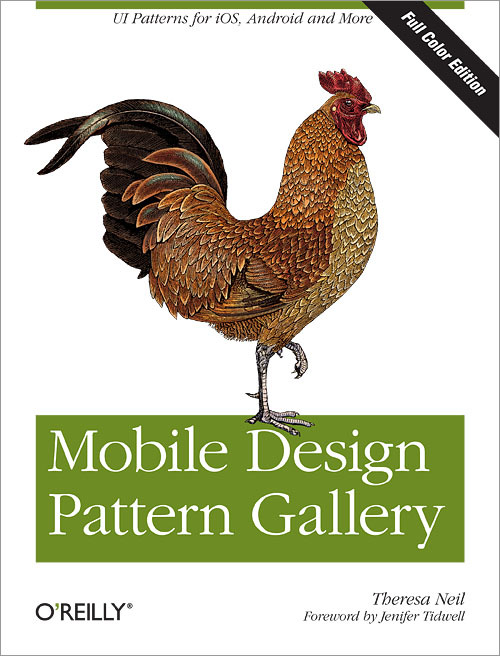 Whether you’re designing a simple iPhone application or one that’s meant to work for every popular mobile OS on the market, these patterns provide solutions to common design challenges. This print edition is in full color. "It’s a super handy catalog that I can flip to for ideas." "Just a quick thanks to express my sheer gratitude for this pub, it has been a guide for me reworking a design for an app already in production!"